Let the shop hop begin! Adorable cartoon quilter ladies in all manner of shopping, stitching and cutting up in a fun panel and tossed prints. There are added tonal elements of the quilting trade with spools of thread, tossed hearts, swatches, needles, pins, thimbles, and a few favorite ditzies with small florals. 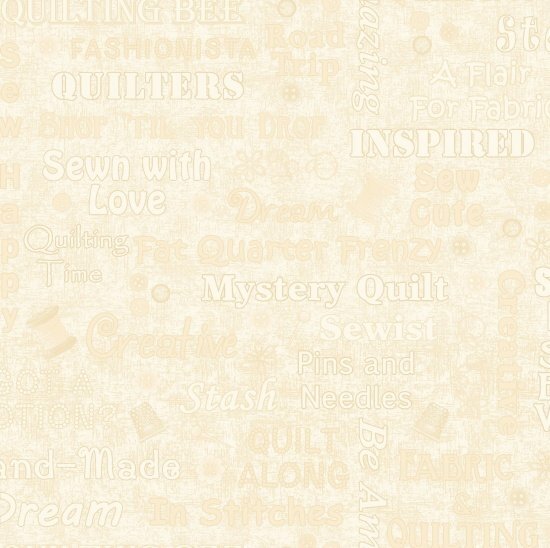 Everything quilters love.